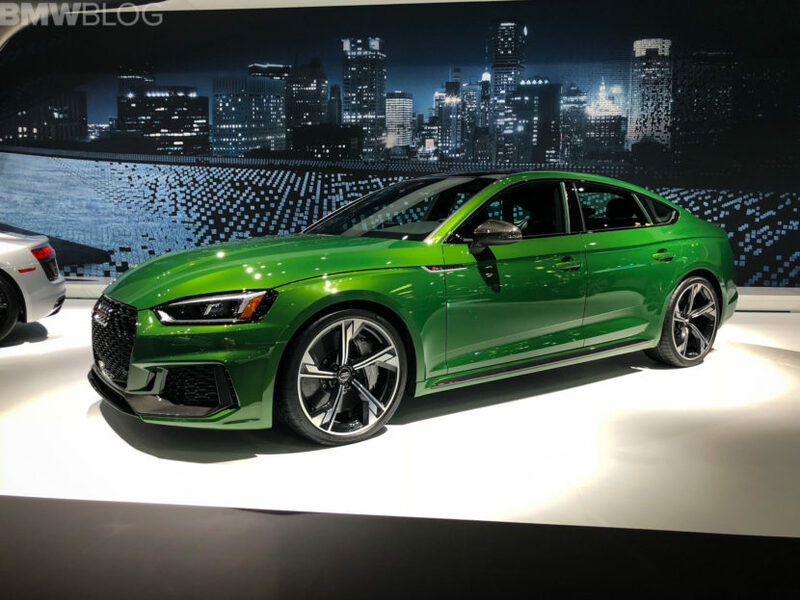 We’re live at the New York International Auto Show and Audi has made a pretty big splash by debuting the new RS5 Sportback. 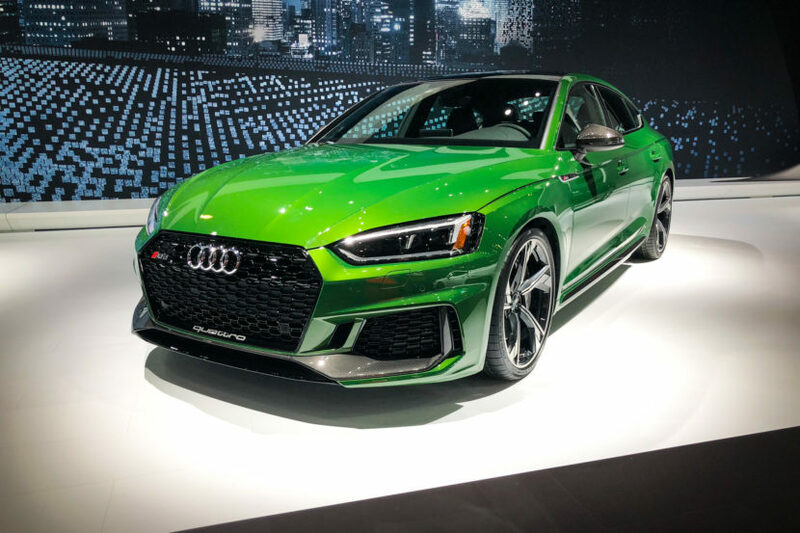 An unlikely car for the American market, the Audi RS5 Sportback has made big waves and attracted big crowds. From everyone we’ve spoken to, including executives from rival brands, it seems as if the RS5 is gaining a lot of fans. And it’s not hard to see why. This new RS5 Sportback looks fantastic, as it adds all of the visual aggression of the RS5 Coupe to a sleeker, more attractive Sportback body style. Its boxy fenders and flared arches looks great, especially at the rear where the boxed out rear fender looks superb underneath the sweeping C-pillar. We also love the color. Most automotive launches or debuts are seen in white, black or silver. But green?(!) That’s a nice change of pace and we applaud Audi for having the stones to reveal its newest sports car, one that it’s never sold in America before, in such a polarizing color. On the inside, it’s exactly the same as the RS5 Coupe, except for the additional rear seats and added cargo space. However, this specific car has green contrast stitching to match its exterior color and it’s really quite cool. Powering the RS5 Sportback is the same 2.9 liter twin-turbocharged V6 engine as you’ll get in the Coupe. So it makes 450 hp and 443 lb-ft of torque. That engine is mated to an eight-speed automatic and sends power to all four wheels. Audi claims a 0-60 mph time of 4 seconds flat but we expect it to be quicker than that. The Coupe can do it in a claimed 3.7 (we’ve seen it record times of 3.5 seconds) and the Sportback doesn’t have much of a weight penalty. So expect realistic 0-60 mph times of 3.6 — 3.9 seconds.